El Commandate looks like bargain of the season. Hats off to the scout. He is the a incre, a incre a incredible general! To be fair a lot of what he has said there is pretty valid. 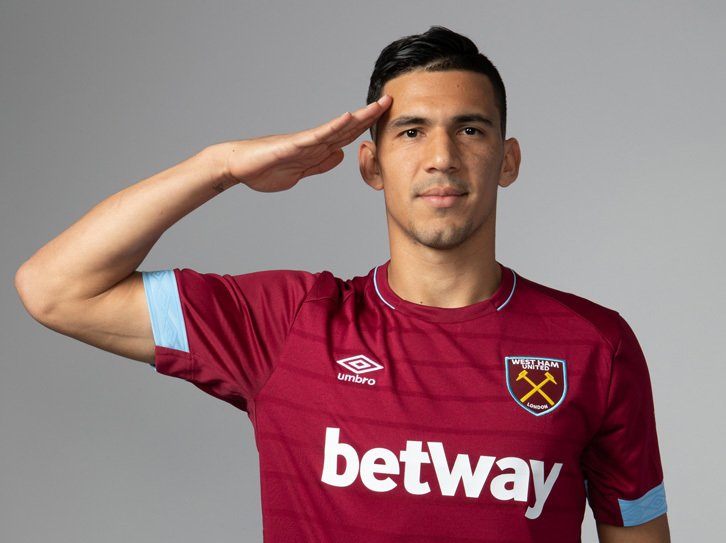 When I first saw Balbuena I was also concerned he wasn't agile enough. But he has totally proved that concern wrong. He isn't the fastest and most agile but he is fast enough and when you add that to his positional play he is a proper handful to play against for a striker. Love this fella. Proper hard-nut and fully committed. He still in work out there? Gets better every game, seems to read it very well and is very good positionally to be in the right place for clearances. I reckon he will chip in with a few goals as well this season. For £3.5M not really much to moan about a very welcome addition. Tim South American Football Expert Vickery. Him and Diop have the potential to be our best pairing since reiper and bilic. Again, like Anderson, I see him getting better each game. You can see him adapting to the pace and physicality of the game over here and, from what I can see, he has everything you need to cope with it. Looks really strong in the air and tackle. Once he gets his distribution really sorted he will be a top player for us. He reminds me of one of those players that another club get under the radar and you say "Where did they get him from? Why are we not getting players like that?" For once that player is ours. at 3.5m he may just be! Again, he's looking decent now. Yeah I noticed that Burnsy, rather than run with him it looked like he tried to pull him back. Weird.